The LAND USE IMPACTS (LUI) on Soil Quality provides students with multimedia web-based experience to assist in teaching about impacts of various land uses on the University of British Columbia Endowment Lands on soil formation and soil quality as presented in the APBI 402 / SOIL 502 – Sustainable soil management course. The tool was designed by a team of soil scientists, graduate students, and multimedia specialists with the intention of appealing to multiple learning styles and providing greater access to information. The tool intends to enhance teaching by offering virtual, active student learning, integrating soil science research into undergraduate teaching, and increasing learner accessibility. 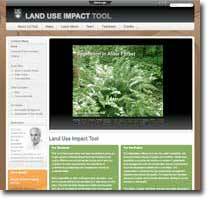 Click here to visit Land-Use Impacts on Soil Quality Website.